Welcome to SA Teambuilding, the team building company delivering high quality corporate drumming events with an exciting range of drums and percussion. Drumming offers a unique, experiential to teambuilding. Rhythm is in all of us, it's in our talk, in the way we walk, the season, time. Rhythm plays a vital role in everyone's productivity. SA Teambuilding Events are structured to allow your team to have a voice, experience co-operative accomplishments, and discuss metaphors for teamwork and communication, all in a relaxed and fun environment. What is Team Building Drumming? A group of people sitting or standing in a circle playing drums and percussion from around the world. A professional team building facilitator leads the group from the centre of the circle. Allowing the participants to relax and let go. Everyone is part of the performance, there is no audience. 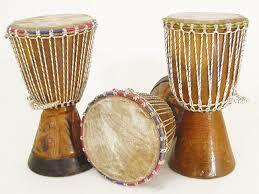 Numbers are unlimited, we can drum with any size of group from 5 to 5000. The emphasis is working together effectively as a team to create music. Regardless of age, background and ability – everyone has fun with a Drumming team building, building connections with their co-workers that last long after the beat has stopped. Our interactive approach as a team building company brings the energy of live drumming through bespoke workshops that can be tailored to your specific needs.